First impressions count for an awful lot. Our fabulously different Bar Hum Bug table is available for hire and can bring that quirky extra touch that you’ve been looking for. 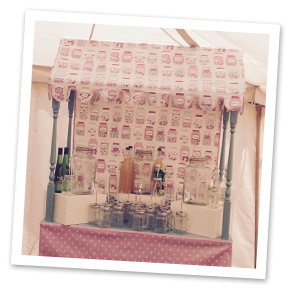 This handmade table is decorated with a delightful oil cloth awning, pretty bunting and charming fairy lights. But when it comes to choosing how to use it? Well, the only limit is your imagination! 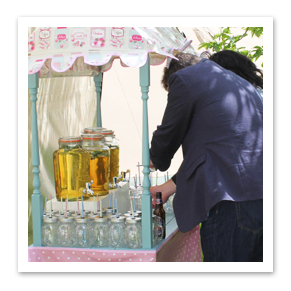 Bar Hum Bug makes the perfect spot to set out welcome drinks at weddings, ceremonies and parties. 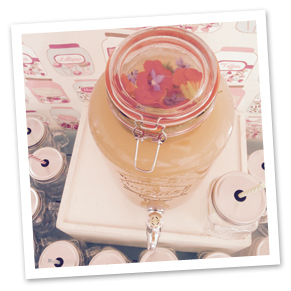 We can load it up with cute vintage jam jars, elegant Pimm’s cocktails or anything else you fancy offering your guests. Get in touch to tell us your ideas! 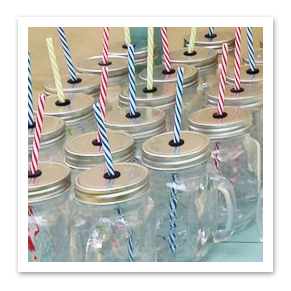 With lidded mason jars, quirky straws and giant Kilner drinks dispensers, we’ll help you present your welcome drinks with stylish flair. 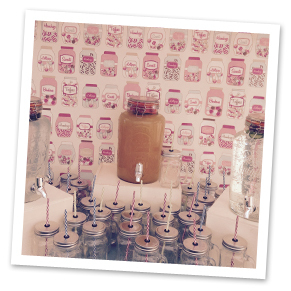 Treat your guests to something extra special: we can supply Bar Hum Bug with vintage glass sweets jars filled with deliciously tempting confectionary to which delighted guests can help themselves. Let us know your sweet-tooth favourites – however obscure – and we’ll see if we can track them down for you ahead of the event. 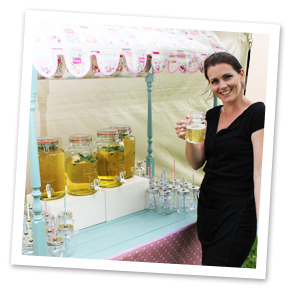 Running a big party or a corporate event? You can use Bar Hum Bug to set out a clutch of fabulous goodies for your guests to pick up as they leave. If you need any help planning your goody bags, feel free to ask us. We’ve got plenty of unique ideas and can help you complement your theme. Growing in popularity is our Bar Hum Bug ‘Pimp your Cupcake’ service. We supply the cakes, along with jars filled with irresistible toppings so your guests can get creative and indulge their love of sweet treats. What a delightfully different way to do dessert! 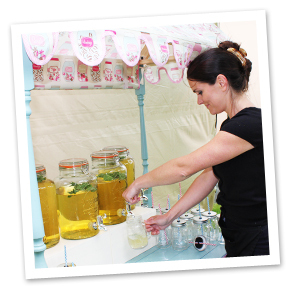 If you think Bar Hum Bug is the missing ingredient to your event’s success, get in touch with us today. We’ll be happy to discuss your plans and offer suggestions to ensure your event goes down in history. In fact, if you’re tired of planning and struggling with the stress, we can take it all off your hands and run the event for you. Just ask!